"Advanced Analytics Across the Changing EU Data Landscape"
9:00 am - 9:45 am How Is GDPR Changing the World of Analytic Science? GDPR is one of the key changes we are facing in 2018. Pharmaceutical analytical management science committee is in the center of it, as data collection, processing, analysing, and storing is our daily activity. This presentation is aimed at updating audiences on the impact of GDPR on data analytics. Compared with EU Data Protection Directive 95/46/EC, GDPR strengthened and defined individual rights to be taken into account in systems, organizational privacy policies and research consent processes, as well as legitimate interest assessment. This poses practical challenges to researchers handling primary data and secondary database information. Feature Engineering is a slow and laborious process, and the irony cannot be more obvious. ML is all about channeling our efforts to automate a process that we find too cumbersome to perform manually, and yet, when it comes to Feature Engineering, a key component of ML, it's as if we had forgotten about automation and are okay with undertaking this task manually. This paper redresses the situation by presenting a solution where Feature Engineering is automated. Such an approach is all the more relevant when the Predictive Modeling team lacks the requisite domain expertise. While our approach may not beat a top-notch team that knows the domain inside out, it will definitely outperform any team that is only using common sense to find a good solution. The cornerstone of our approach is GA (Genetic Algorithm), a well-known AI algorithm that has been deployed in countless problems where combinatorial explosion wreaks havoc. In an era of patient-centricity, pharma companies are exploring various sources of data (big and small) describing the patient experience to help inform decisions around research and commercialization. Patient journeys have long been used to inform sales and marketing strategies; however, the renaissance of claims data availability and modern database platforms have dramatically altered both how they are constructed and the questions they can answer. One such claims database, the Clinical Practice Research Datalink (CPRD), is an observational and interventional research service that operates as part of the UK Department of Health. CPRD collects claims information from an extensive network of primary care physicians in the UK, but loses patients if they are evaluated and treated outside of that network. Approaching this as a statistical missing data problem, we will attempt to impute the missing visits outside of the primary care network and model the density of various patient journeys using APLD data available in the US as a reference. In today’s evolving landscape, with increasing competition and decreasing rep access to physicians, a strong Medical Affairs organization is a critical success factor to ensure that patients are getting access to the best appropriate care. And while a lot of time and energy is being spent evaluating the ROI and impact of sales and marketing efforts, quantifying the value that Medical Affairs brings to an organization is not as prevalent. It is more difficult, as it cannot leverage sales and revenue data. However, it is not impossible. Several simple frameworks have helped our organization think more clearly about quantifying the Med Affairs Value Prop; better understanding its reach and impact, and helping leaders make more informed resource allocation decisions. Whereas the commercial side of pharma has had much experience leveraging longitudinal patient data for its commercial analytics work, the R&D side of the business is relatively new to using real world data (RWD) in the context of clinical development, particularly in trial design and execution. In this session, we will review a case study for a global phase III pediatric sickle cell disease (SCD) clinical trial. In the case study, there was not enough information to identify where patients were treated in some countries with high prevalence of the condition, in which there is no record of diagnoses. SCD, common among subjects from Sub-Saharan African descent, is treated with broadly used pain relievers, making it impossible to use prescriptions to trace patients. We will show how the use of different real world data sources helped us identify this hard-to find population in the US, UK, Spain, and Italy. Results showed that the top 20% of UK Hospitals accounted for ~90% of pediatric SCD cases. Experienced investigators in sites with the largest SCD patient volumes were identified and invited to join the study. We expect this RWD-driven approach to accelerate patient recruitment, faster than a traditional approach based on investigator experience alone. In this presentation we will discuss how to use Machine Learning techniques to optimize Digital & Multi-Channel Marketing Mix in the EU. 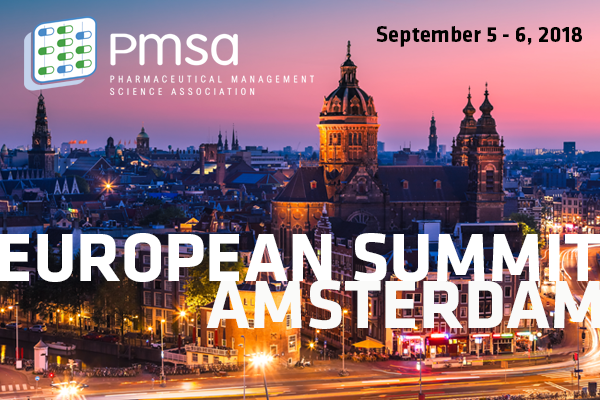 We will start with a discussion of the internal and external pharma EU data available for Digital & Multi-Channel Marketing Mix. The pro’s and con’s of the EU data are the key. We will discuss brick-level sales data and compare it with pharmacy-level sales data available in some EU countries, including Italy. We will also discuss better granularity of the data sources in the Netherlands. We will compare the data quality, data granularity, and mini-bricks available in several EU markets. We will also discuss data and modeling issues for Germany vs. UK, France vs. Spain, etc. One of the complexities of the EU modeling data is how to link it with individual physician performance. We will discuss a Machine Learning approach to allocate brick level sales data to physicians. Then we will describe how Machine Learning could be used to predict physician behavior in the EU and optimize Digital & Multi-Channel Marketing Mix. We will conclude with a discussion of a few case studies and how to make Digital & Multi-Channel Marketing a success in the EU. In this presentation we will focus on primarily two concepts – 1) running marketing mix models and then 2) using machine learning models to deconstruct brick level results to the HCP level. We will first discuss the methods used to run marketing mix models at the HCP level and ZIP aggregated (brick) level using US data. Once we have optimal promotions from both models, we will discuss the methodology used to build machine learning models that will help us understand factors that can be used to split brick level optimals into HCP optimals. Finally, we will discuss the alternate use of the process. Digital health is the convergence of digital and genomic technologies with health, healthcare, living, and society to enhance the efficiency of healthcare delivery and make medicines more personalized and precise. The presentation will explore ways in which Digital Health, by linking patient-level real-world/real-time data sourced through digital monitoring, interventional disease management, and predictive analytics - together with population-level Big Data - could improve economic, clinical and humanistic outcomes (ECHO). Payer and Patient willingness to pay The presentation will focus on the hurdles that will need to be overcome in Europe from the payer and market access perspective, and propose management science based solutions, in order for digital health to deliver value for all stakeholders (patients, payers, physicians, and pharmaceutical companies). 11:30 am - 12:15 pm Is Pharma Waking Up to a New Way of Measuring Customer Engagement? Pharma has recognized for decades the importance of traditional face-to-face and more recently digital customer engagement to generate sales for their drugs. However, understanding the degree to which these promotional tactics translate into customer engagement with pharma brands, and ultimately sales, has always been a challenge. This has particularly been the case in European markets with a lack of HCP level sales data. While several analytical approaches such as regression, test and control and others have been applied to calculate overall impact of promotions on sales, these have been largely constrained to national or subnational macro levels. As a result, the impact of engagement at the individual customer level has remained elusive, until now that is: CEI is a measure of customers’ activities across channels that have been demonstrated to correlate to sales. Customer engagement index (CEI) is a composite index which accounts for the interaction of a customer across various channels for a given period. It is a holistic metric which converts intangible aspects of customer experience – perceptions, satisfaction and expectations – to practical numbers and trends. Osteoarthritis (OA) is a common disorder whose treatment focused mainly on pain management and surgery in the final disease stages. Research demonstrated that some patients have faster disease progression and earlier surgery. Objective of this study is to predict patient characteristics implying faster disease progression to support optimal disease management. Methods: Electronic medical records for ~50k OA patients were extracted from German Disease Analyzer data and predictors were estimated using different Machine Learning models (Decision and Regression trees, LASSO regression and Random Forest). Results: The analyses include 12 years period (2004-2016) of electronic medical records. The underlying data base included >14k different variables such as diagnosis (ICD10) and treatment (drug) patterns, laboratory test and demographic information for osteoarthritis patients. The final model specification tested 28 macro predictors. Our models consistently show that that the 5 most important macro predictors for earlier surgery are multi-morbidity measured as high number of distinct diagnosis (>6.3), older age (>68), analgesics and earlier opioids initiations. Conclusions: There are certain patient’s characteristics associated with earlier joint replacement such as older age, increase number of distinct diagnosis and earlier opioid introduction. These results demonstrate the importance of specific clinical factors in the progression to surgery. 2:15 pm - 3:00 pm From Unstructured to Structured Data: Can Machine Learning Help Make Sense of EMR/EHR Data? How to utilize and combine big data and distributed technologies to manage unstructured data efficiently? When can machine learning and natural language processing be used for analyzing unstructured data, ranging from images, text documents, to semi-structured data? How to experiment with and test different machine learning tools and algorithms for production and scalability?